Using a new machine in the school’s physics and chemistry lab, XANA manages to create nano viruses, tiny machines capable of attacking memory cells in the human brain. Our heroes are XANA’s principle targets and Ulrich is the first one to go down. Seeing that her heart’s desire is suffering from amnesia, Sissi takes full advantage of the situation : she fools him into thinking that she is his girlfriend and that Odd, Yumi and Jeremy are his sworn enemies… It’s a difficult situation, all the more so because the nano viruses are starting to affect the whole population ! Luckily, our heroes can once again join forces on Lyokô and save the world from amnesia! Said friends are stupefied to see the teen seem to avoid them and stick to Sissi. Ulrich even threatens to harm Odd. During this time, more victims arise as students and teachers fall unconscious… It’s an epidemic. Ulrich rediscovers his memories through flashbacks and wanders away from Sissi aimlessly. Jeremy understands the situation and analyses the substance: he finds the nanovirus inside. XANA wants to create a world without memory which it can control however it wants… The group, minus Ulrich, head to the factory, passing several amnesiacs on their way. 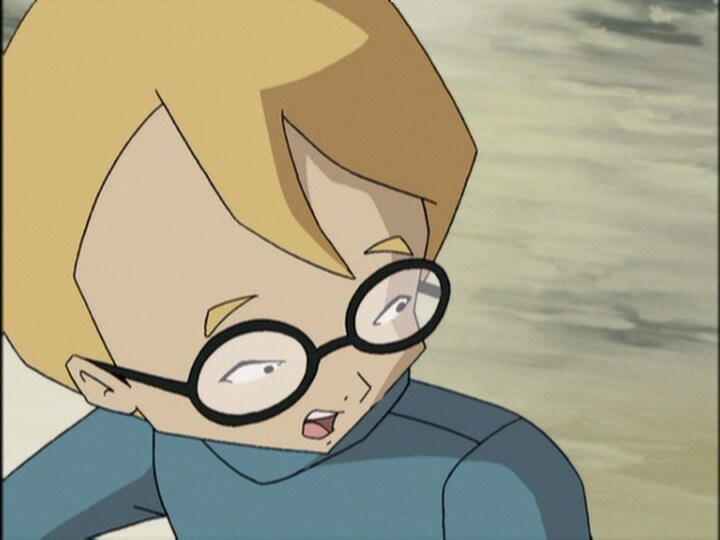 Jeremy, yielding to anxiety, sends his friend to Lyoko, knowing he’ll be needed for something… Before he arrives, Odd and Yumi defeat a Krabe. The Japanese girl leaves with Aelita in the direction of the tower. Odd stays to re-teach Ulrich how to fight… Thinking it’s a video game, the samurai enthusiastically accepts his teachings. - Attack: Send out a nanovirus which renders anyone infected an amnesiac. - Return to the past to stop the spread of the amnesia. - Jeremy is interested in working in science later in life. 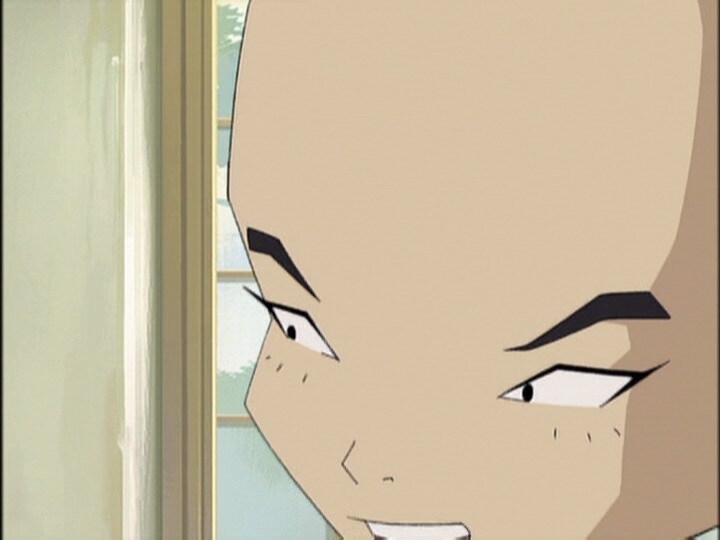 - Odd uses gel to spike up his hair. - Ulrich’s flashbacks are extracts from episodes: Teddygozilla, Log Book, Big Bug, End of Take, Satellite, Swarming Attack, Laughing Fit and Claustrophobia. - In this episode, one of Odd’s arrows appears to have homing capabilities (made to look like he angled the shot). - At the moment when Jeremy leaves the infirmary, the door is green. - The red halo of the activated tower disappears after Jeremy announces Yumi’s loss of life points. 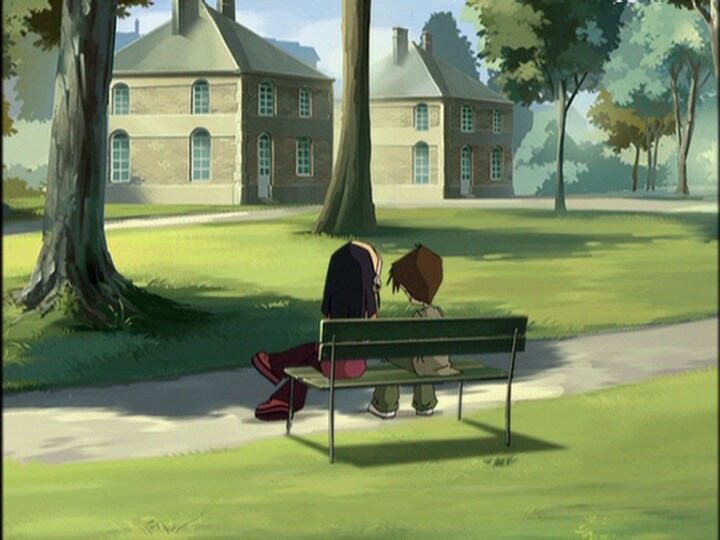 - When Odd takes his skateboard, we see Yumi’s resting on the wall even though she picked it up in the shot beforehand. 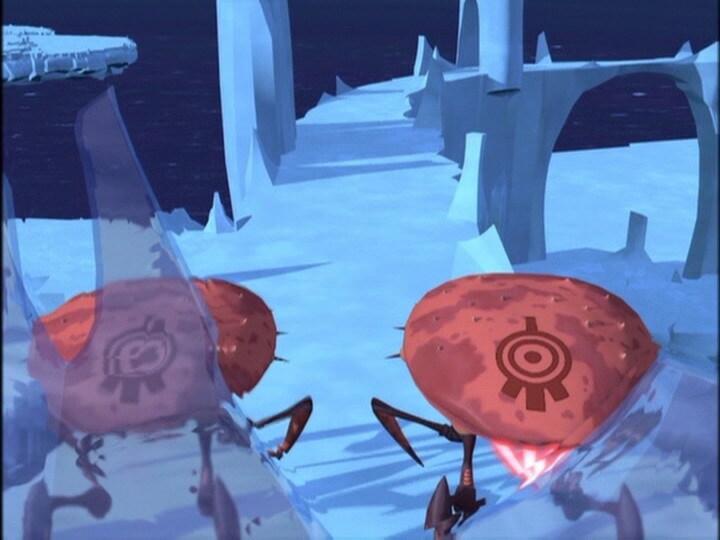 - At the moment when the factory computer says “Ulrich and Odd vs Krabe” there’s only one red and one green icon instead of two of each. The back of Ulrich’s card also has Odd’s paw print symbol instead of his own circular symbol. 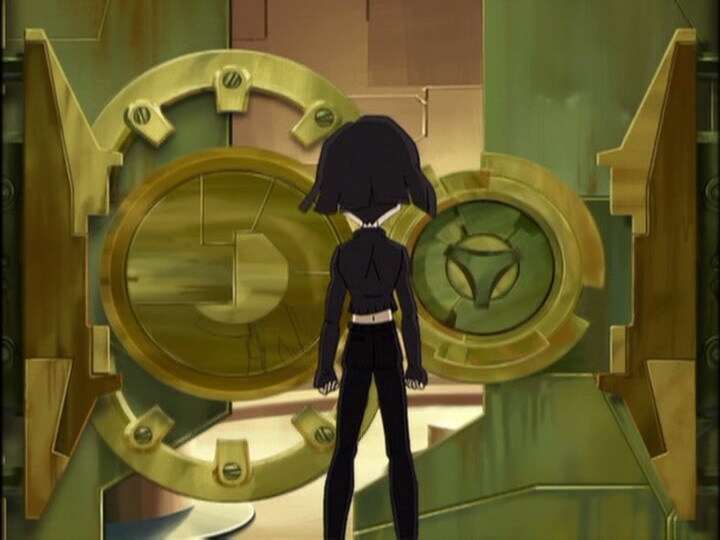 - When Yumi is devirtualised, the back of her card shows Ulrich’s circular symbol instead of her own, which is the same flower pattern as on her Lyoko outfit. - The open hours of the infirmary disappear when Yolande tells Sissi that Ulrich is well and when she watches the two leave. - The factory microphone disappears from Jeremy’s ear when he tells Yumi that Ulrich still has amnesia, and it changes often (wired or wireless). - During Ms Hertz’ class, we see Pierre François, Tristan Brossard, Mohamed Kantaoui of year 7, and Sandra Dialo and Anne-Sophie Munier of year 6. - Ulrich’s flashbacks with dialogue were re-voiced with new lines, meaning they’re inconsistent with what actually happened. - First time we see XANA virtualise its monsters. Ms Hertz: Who can tell us what nanotechnology is? Ms Hertz: Jeremy, go on. Jeremy: It’s microscopic-sized technology. There are nano-motors, nano-circuitboards and nano-gears. Sissi: Are these robots capable of fighting pimples, cellulite and things like that? Ms Hertz: Haha, yes they can, but the priority is for more serious illnesses! Odd: And nanotechnology can’t do a thing about stupidity! Poor Sissi, what a shame! Ms Hertz: There’s gelatine inside! Ulrich: Looks like the greasy stuff Odd puts on his hair every day! Ulrich: It looks an awful lot like jam! Odd: Sorry, but I just couldn’t resist! Ulrich: Dah, I’ll get you for that, Odd! Ms Hertz: This is a science class, children, not a comedy club! Odd: Hey, that looks good! Can I have some? Ulrich: Here! 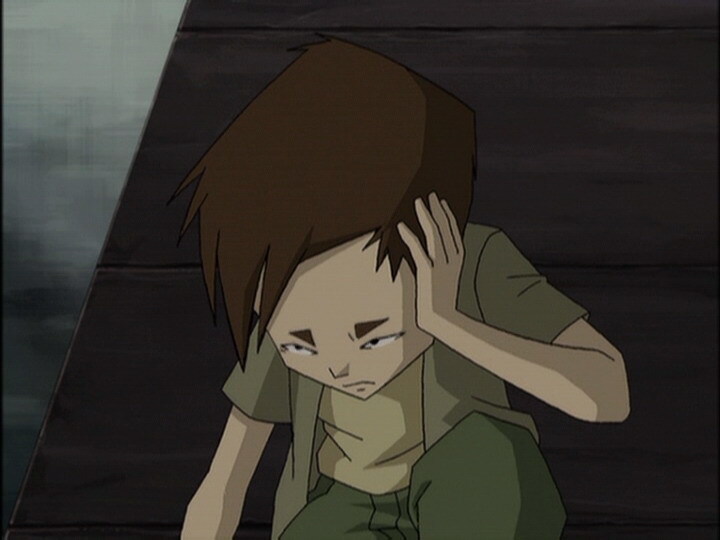 (squishes the chocolate bar onto Odd’s forehead) I warned you! Odd: Yeah, but taking advantage of my sweet tooth wasn’t fair! Sissi (talking to Yolande about Ulrich): You see, I’m his best friend! Sissi (to Ulrich, unconscious): You’re so handsome when you sleep! Ulrich (waking up): Oh! Where am I anyway? Sissi: In the infirmary. You passed out. Ulrich: The infirmary? What infirmary? W-who am I? What’s my name? Sissi: Wh- ah…Ulrich! You must have hit your head when you fell down! Ulrich: And who are you? Sissi: Me? I’m Sissi…Sissi! Your sweetheart! Sissi (pointing to Odd, Jeremy and Yumi): See those three kids over there? They’re your worst enemies! Yumi: What’s going on? Why is he with Sissi? Odd: You feelin’ better, good buddy? Ulrich: Who are you, huh? Leave me alone, creep! Odd: Come on, Ulrich! It’s me, Odd! Sissi: That’s enough! Can’t you see? He doesn’t wanna know you! So stay away from us, understand? Sissi: Ulrich, these are your good friends, Nicolas and Herb! Yumi: Let’s go see what the nurse says. Odd: I’ve gotta bring him back to his senses. Sissi and Ulrich? Can you believe that? Sissi: Ulrich, what do you feel knowing you’re with the prettiest girl in school? Ulrich: Well, to be honest, uh…nothing. Sissi: What did you say? Odd: Well at least he’s not completely out of his head yet! Ulrich: Hey, what are you doin’, spying on me?! Ulrich (aggressive): You’re a liar! Odd: Ulrich, cut that out! We’re buddies, remember?! Ulrich: That’s not what she says! So get out of here, and make it fast! Yumi: We can stay and help you if you want! Yolande: The best way to help is to stay out of my way! Odd (puffed): No doubt about it, Ulrich’s got amnesia! I thought he was gonna slug me just now! Odd: And Ulrich, we’re gonna need him! 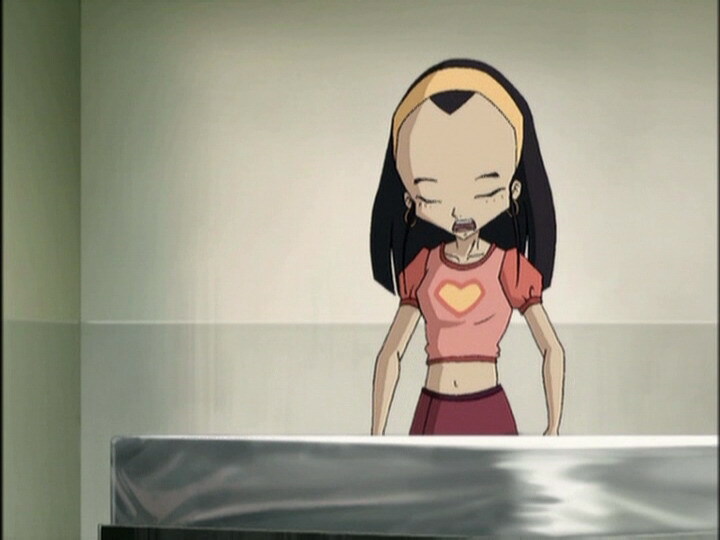 Yumi: No, Odd, it’s Ulrich who needs our help. He’ll only get well if we can deactivate the tower. Jeremy: Yumi’s right. Besides, if he can’t remember anything, he won’t be much good to us. Ulrich (to Kiwi): I don’t know who you are, but it seems we’re friends! 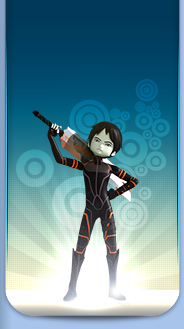 Jeremy: He’s coming towards you, Yumi! Yumi: Don’t worry, he just wants to play hide and seek. Playful little beast! Ulrich: Look, I can’t remember anything, but I know I have something important to do here! Tell me what it is! Jeremy: Well, uh…sure! Why not? 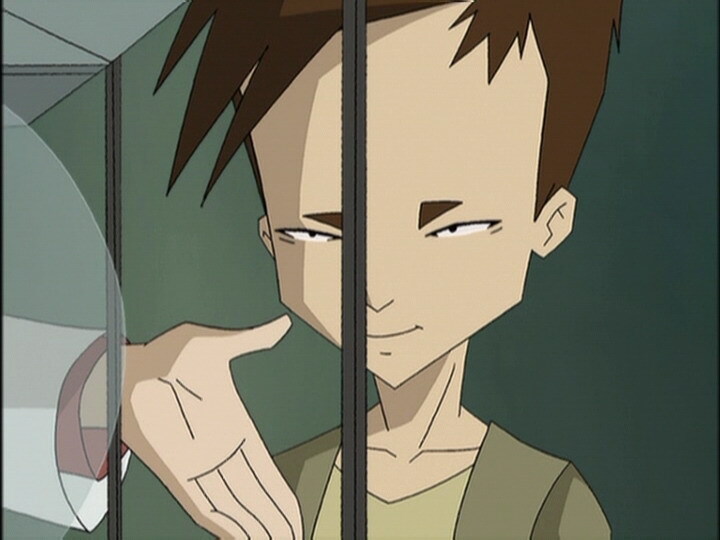 Once you’re on Lyoko you’ll have to do something, amnesia or not! Jeremy: Two things, guys! 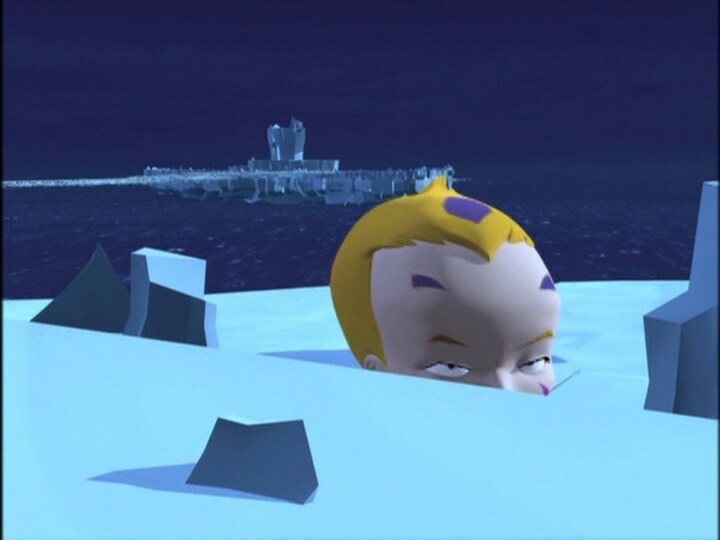 One: Aelita’s waiting on the other side of the glacier! Two: Ulrich’s on the way! Ulrich (falling to the ground): Ah! Ouch! Odd: Welcome to the virtual world, Ulrich! Ulrich: What is this place? What are we here for? Odd: To fight, of course! Ulrich: Fight? I don’t know how to fight! Odd: But of course you do! You just forgot. But I’ll refresh your memory. Ulrich: You’re just dodging my blows! Don’t you have a weapon? Odd: I have a few arrows, but I’d rather save them for now. And I don’t want to hurt you with them either! Yumi: Seems almost too easy. I have a funny feeling about this! (four Krabes appear!) Oh, I’m sick of always being right! Four against one. Well, it’s better than five or six! Jeremy: Hang in there, girls! I’ll try to send you reinforcements! 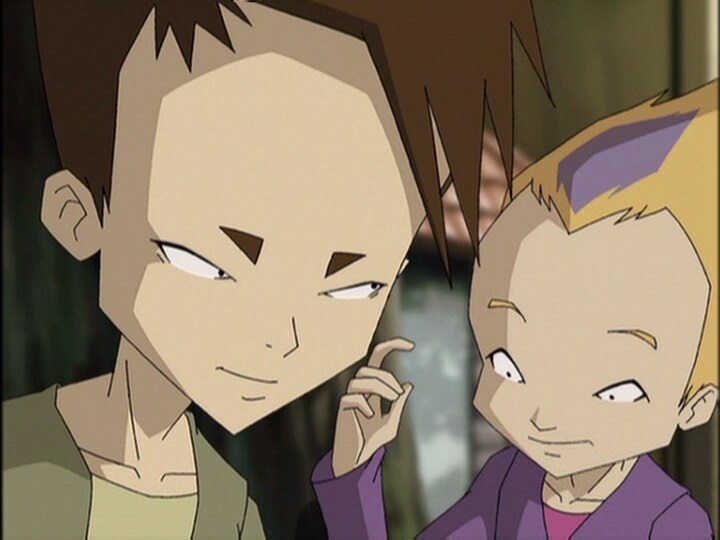 Aelita: First let’s get rid of two of them! Ulrich: Are there other levels? Ulrich (tackling Odd): There! I win the game! Odd: Yeah, but you beat an ally! Odd: Now that you know who your friends are, it’s time to meet your enemies! Yumi: It’s good to see Ulrich with his memory back again! Jeremy: You’re wrong. He’s still got amnesia! 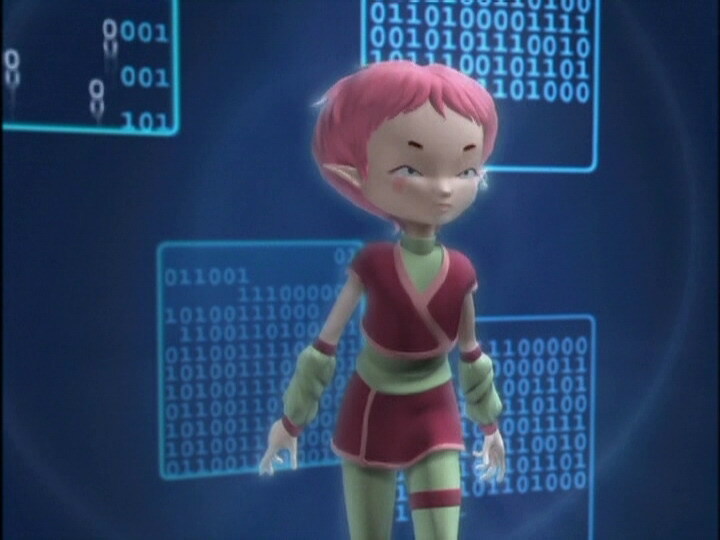 Aelita (running to the tower): Thanks for clearing the passage! Jeremy: Great, guys! You’re one heck of a team! Ulrich: Is that it? No other players? Odd: No, we can go home. The game’s over! Ms Hertz: How dare you destroy school equipment?! I’ll have to punish you severely for that! And it’s going to be a punishment you won’t forget! Ulrich: I hope not, Ms Hertz! I sure hope not!